The arrival of spring is a great excuse to rid your car, house, and work space of any junk that's accumulated over the past year. But it's 2016, and the digital spaces where you spend a lot of your time could likely use some sprucing up as well. 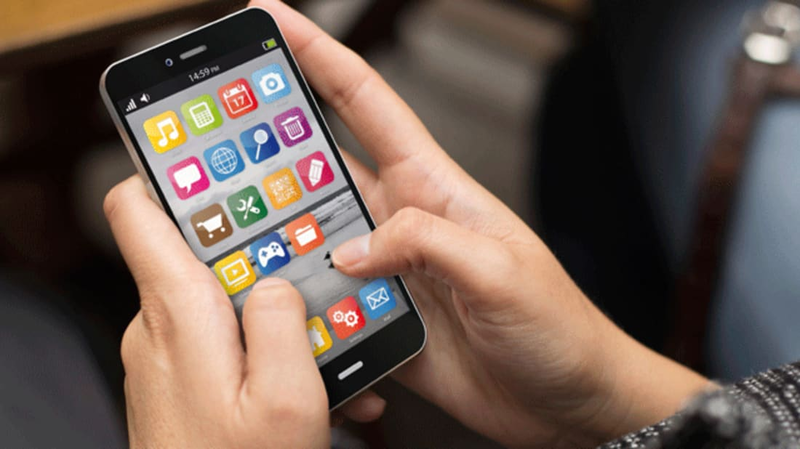 Jordan Edelson, the CEO and founder of the app development company Appetizer Mobile, recommends that everyone set aside some time this spring to sit down and de-clutter their mobile devices. "Phones have become an extension of our everyday lives and are a direct representation of ourselves as a digital footprint," Edelson tells mental_floss. "As the seasons change, or big life changes happen, I always recommend removing clutter and starting fresh." Start by finally cleaning out your phone's camera roll. Transfer your photos to the Cloud or your computer and wipe your mobile albums completely ahead of vacation season. That way, you'll be ready to dive into summer with a clean digital slate waiting to be filled with new memories. One less-obvious mobile spring cleaning tip Edelson suggests? Downsize your social networking apps. By only keeping around the apps that you check regularly, your phone world automatically becomes a cleaner, more functional space. And when you're deleting the apps you don't use, don't forget to also unlink them from any social media accounts they may have requested access to. Granting an app access to Twitter or Facebook and then forgetting about it is one easy way to get hacked. Once you're left with only the apps you've deemed essential, take advantage of your smartphone's folder option and rearrange them into categories. Unlike your room at home, after you organize everything the way you like it you can feel confident it'll stay that way for a while. You can also experiment with arranging your apps by color, frequency of usage, or alphabetical order if you really feel inspired. If this all sounds like wishful thinking for you, the Daily Mail recently reported a simple hack that tricks your iPhone into spring cleaning itself without deleting any content. Start by choosing a film to rent from the iTunes store, and make sure the file size is larger than the amount of space you have available. After your phone prepares to make room for the movie by cleaning your apps of unnecessary cookies and data, you'll be left with more space than you had before (but you still won't be able to download the film). Now if only there was an easy trick like that for cleaning out your closet.